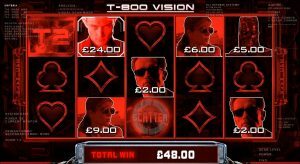 This Terminator 2 slot machine comes packed with mini cut scenes from the film of the same name, and up to 1024 ways to win in the free spins. But will you be saying hasta la vista baby? This Microgaming slot game is based on the blockbuster movie that came out back in 1991, yet, much like the film, it has a timeless look and feel that is hard to beat. This is as rare as seeing an actual Terminator roaming the streets, however it does occur throughout your game play. But after playing for a good few hours, we had a hard time finding it. Eventually we did and, to be honest, it wasn’t really worth the wait. But what you get here is the chance at some instant cash prizes as the T-800 (that’s Arnie for those of you who aren’t big fans) scans the reels locking on to the character symbols and rewarding you a cash prize for each. The T-1000 gives you the biggest cash prizes. More interestingly, if it locks on to any scatters you are rewarded with 10 free spins. We didn’t experience it, but we think it is the best way to make cash out of these bonus features. 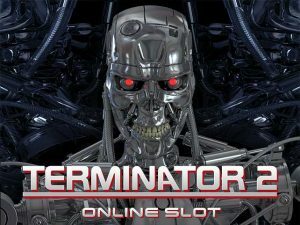 It has to be the free spins bonus feature that is going to make Microgaming’s Terminator II slot game appealing to a lot of players, for when you manage to spin in the required number of Time Travel Orb Scatter symbols anywhere in view then you are awarded with a set of free spins, but there is something very unique about these free spins. 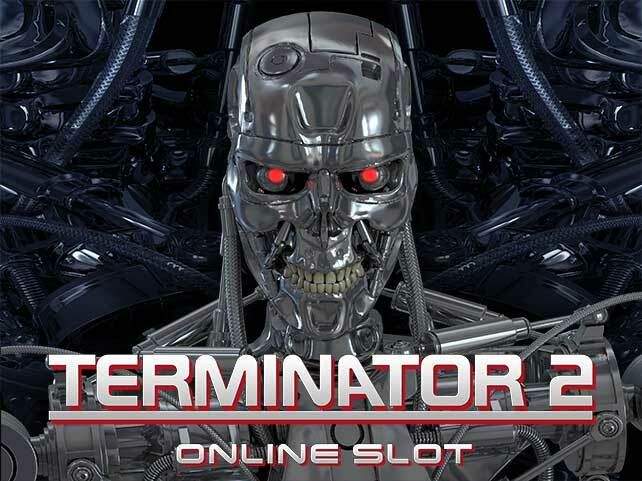 To give you increased winning opportunities when playing this Terminator II slot game you will find both a T1000 and T800 set of reel symbols in play on the reels and these two symbols are the key to additional winning opportunities via a couple of extra bonus game features.